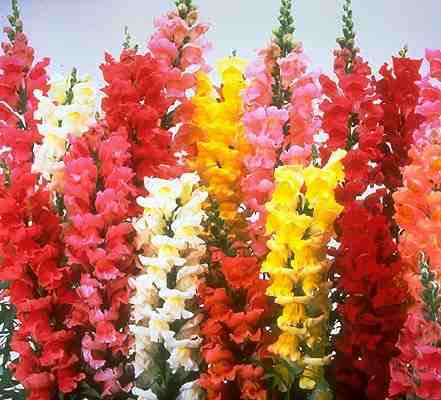 Snapdragons have been a staple favorite of the English flower garden since time began…and probably before. Kids love them because when ‘properly’ squeezed they look like a dragon’s head with an opening mouth…aw bless the ‘ickle children! Widely available in a myriad of colours and heights, snapdragons make a fantastic low maintenance addition to your garden. Although in some climbs snapdragons are perennial, in the UK they are not and should be considered annuals. We tend to sow seeds in the greenhouse about 8 weeks before the last frosts. The seedlings can handle a little frost however and can be placed into well prepared beds as soon as the weather allows the soil to be worked. 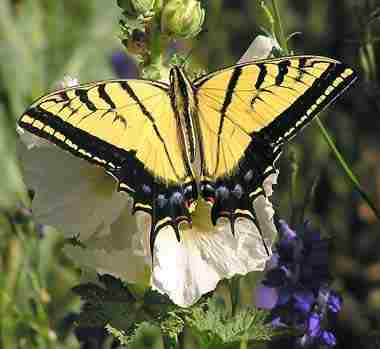 Make sure they get planted in free draining soil in a position with plenty of sunshine. Here at Higgledy we are not interested in the dwarf varieties because we want cut flowers, so we space our taller varieties as much as 12 inches apart. Occasional give them a general purpose feed. Please note that they will require the occasional deep watering if you encounter a particularly long and dry spell. 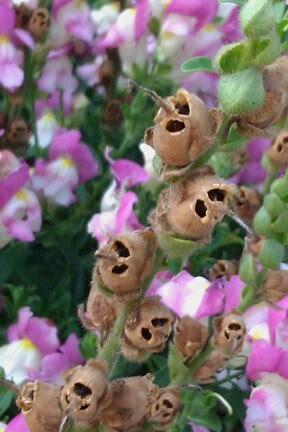 Happily our friend the snapdragon is ‘cut and come again’ and should be ready by early summer. Choose varieties like ‘Rocket hybrid’ and ‘Lipstick’, these should grow to a good three foot. Cut them when the flowers are open half way up the stem and they should last a week in the vase. If you’re looking for a foliage filler to go with your snapdragons then why not check out Ammi Majus…or Euphorbia marginata…a perfect little coupling. 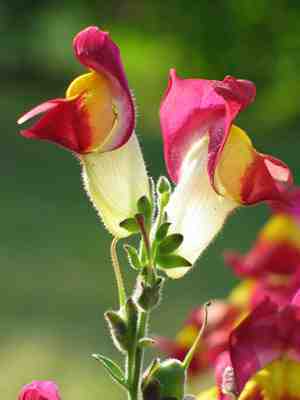 Although not a native to the UK, snapdragons have been knocking around since Elizabethan times. They are a great source of nectar for both butterflies and bees. Deer seem not to like them…which is fine by me. As our regular readers will know we have become fans of Sarah Raven Seeds (click on banner on right hand sidebar) and she has some beauties…including… White Giant, Night and Day and Liberty. Do let us know what varieties you will be planting this year and how well they do. Why not take a look at The Higgledy Army’s Top 50 Annual Flowers? For free free free Higgledy updates just click on the orange button at the top of the page….simple squimshal. with law enforcement agencies on the way to subpoena Google’s Legal Division.